Two national polls indicate the controversy over the National Football League national anthem policy isn't going away any time soon because the public is divided on the issue. A HuffPost/YouGov survey showed that 41 percent of Americans believe teams should be fined if their players kneel in protest, while 44 percent say they should not, with the remainder undecided. 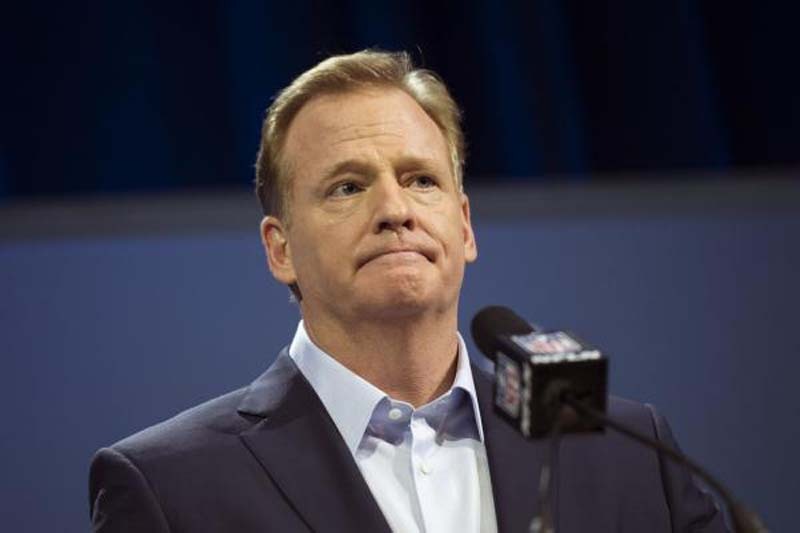 A Yahoo Sports/YouGov poll was more favorable of the NFL's new policy, which will penalize players who do not stand for the national anthem next season. In the second poll, 53 percent of NFL viewers said they support the new policy, with 32 percent opposed and 15 percent having no opinion. Those numbers put tens of thousands of Americans on both sides of the issue. While no action was taken against players who knelt or sat during the national anthem the last two seasons, the NFL on May 23 announced the new policy requiring all players to either stand on the field during the national anthem or remain in the locker room. A player who kneels on the field risks incurring fines for his team. President Donald Trump criticized players who knelt during the national anthem last season, saying they should be cut, and NFL owners said in recent depositions that Trump factored into discussions on the new policy, The Wall Street Journal reported. Dallas Cowboys owner Jerry Jones shared the details of a phone call with the President while testifying in the Colin Kaepernick collusion grievance. Kaepernick, former quarterback of the San Francisco 49ers, started the controversy when he knelt during the national anthem in 2016 to protest police violence and racial inequality.